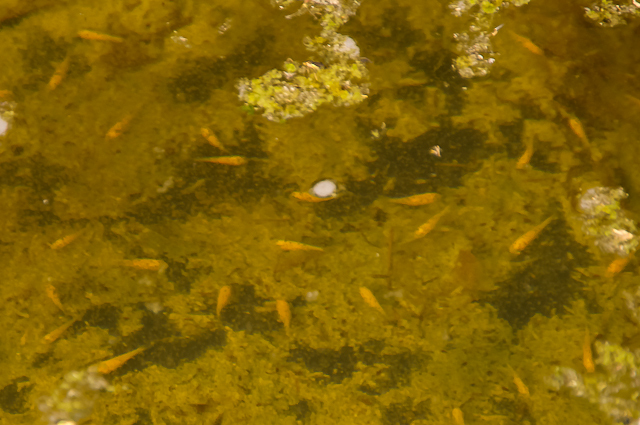 I've uploaded a couple of videos of them, and you can see the daphnia if you watch the video of the koi close up in HD. The Shiro's are coming along too, but it's only today that I finally spotted a black one - they're difficult to see because they blend into the dark background. 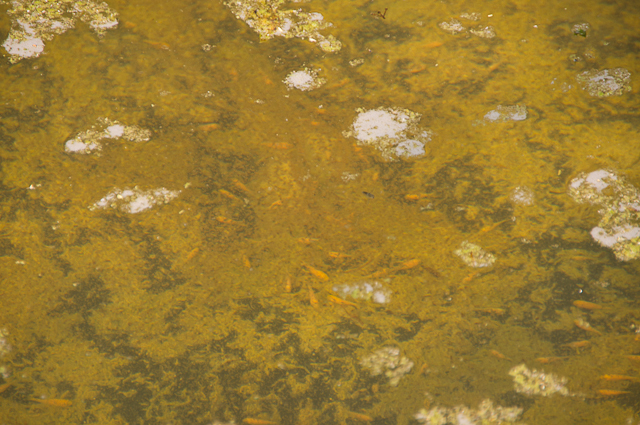 Slightly concerned about the numbers in the pond - reflecting on the pond conditions when we introduced them; I think the koi floating a dy after putting them in was because of gas bubble disease. I must have suffered losses as a result, and we'll just have to wait and see how bad that was. It's firmed up my plan to empty both fry ponds, harvest and make the most of what I've got and then start afresh with another two spawnings. I'm setting up tanks where I can deposit the newly harvested koi and make my selections, and another 10k liter tank in the polytunnel for growing on fry. I plan to harvest the kohaku's next weekend and shiro's the weekend after. That sets me up for the final round of spawnings at the end of July. Both test spawnings last weekend panned out ok, and the silage liner makes cleaning up much quicker. Plus, the black background makes it much easier to see the new hatchlings. So I've go with this new approach for the end of July spawnings. I passed on some of the eggs and new hatchlings from the test spawnings to Brian, from my koi club (Kangei Koi Club). Good luck Brian!